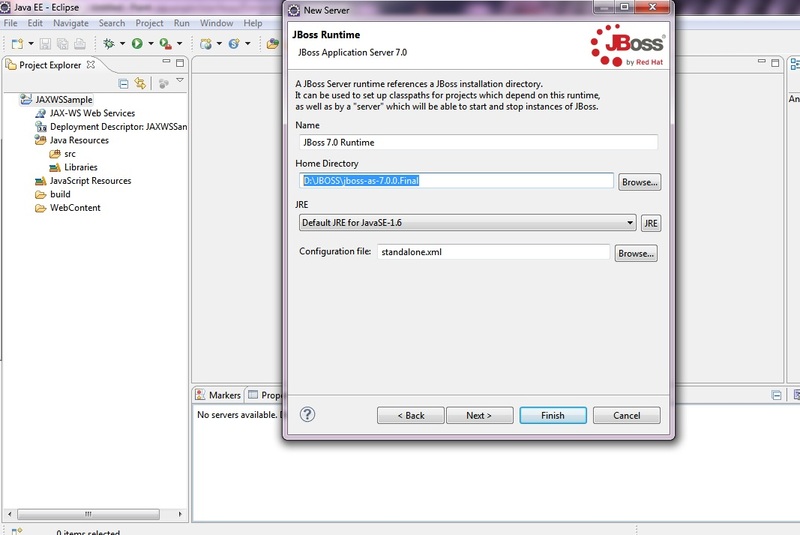 In just previous chapter we discussed about the Web service support in J2EE.There we discussed about JAX-WS and JAX-RS. This JAX-WS Tutorial gives an overview about the JAX-WS specification .Also implementation of JAX-WS web services is explained with suitable example. JAX-WS is the Java API for XML Web services.It provides support for SOAP(Simple Object Access protocol) based web services. Even though SOAP structure is complex , developer need not bother about the complexity in messaging.  The JAX-WS run time system manages all the parsing related stuffs. 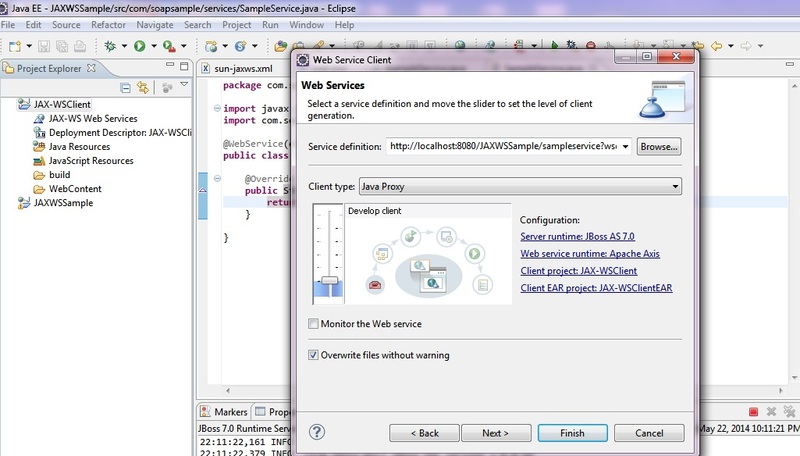 Since JAX-WS uses the W3C defined technologies , a SOAP web service client can access a SOAP web service that is running in a non java platform. 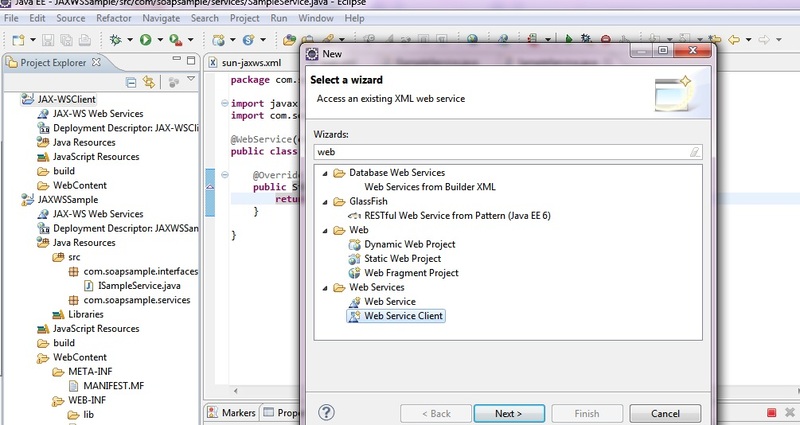 Steps in creating a JAX-WS web service . 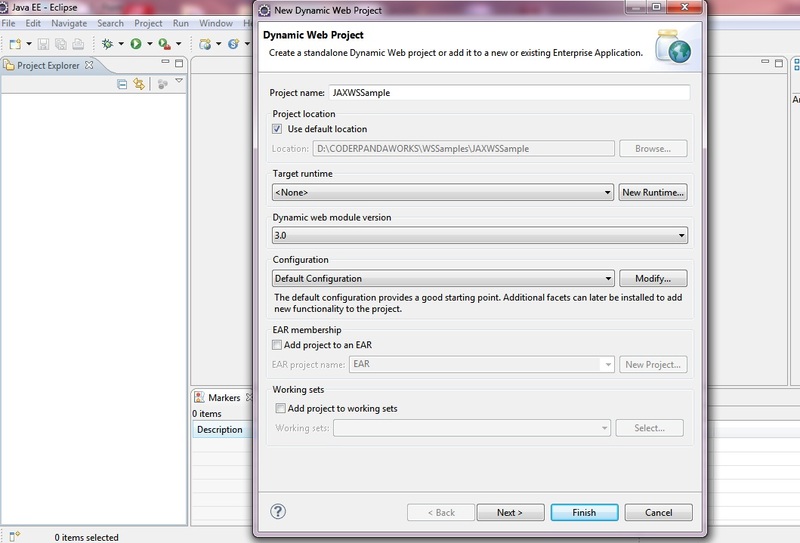 Step 17)Add the following entries to the web.xml inside the webapps tag. 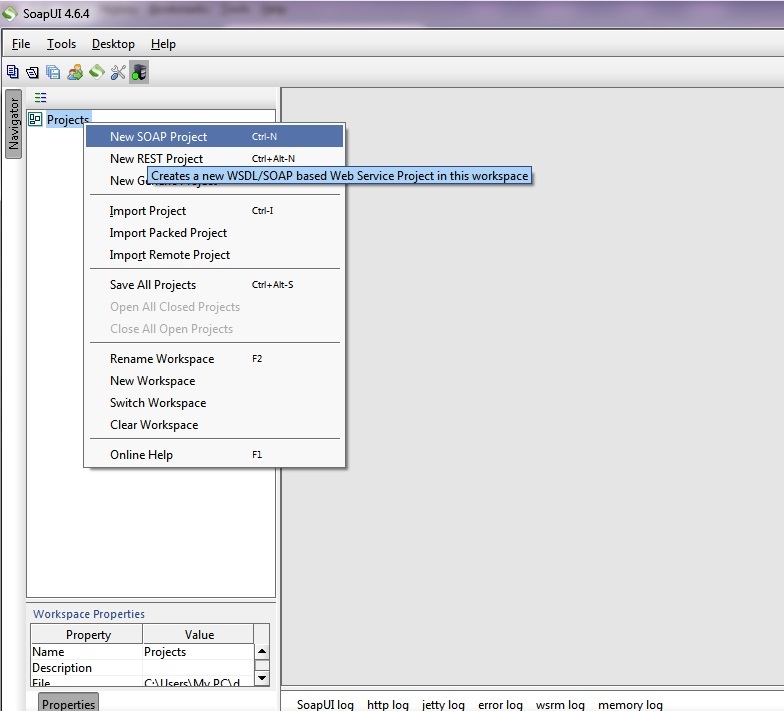 21)Give a project name and specify the WSDL value and press ‘OK’ button. 22)Now the following screen would be displayed. 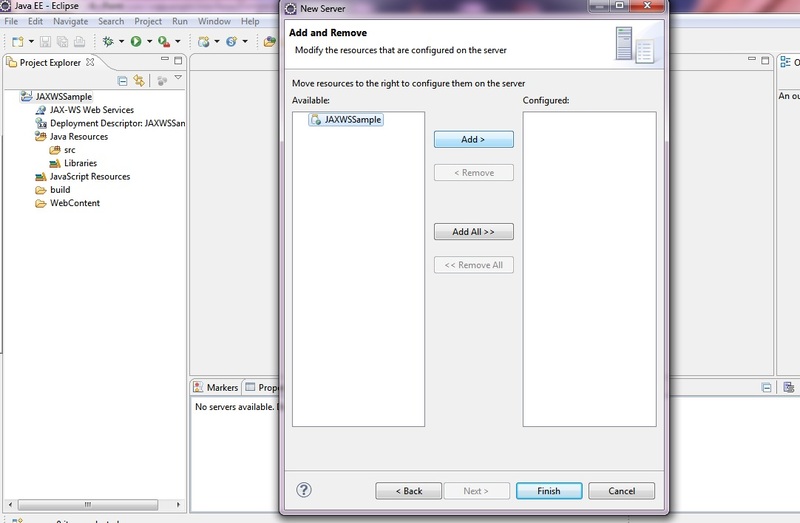 23)Expand the getMessage tree and double click on the request 1. 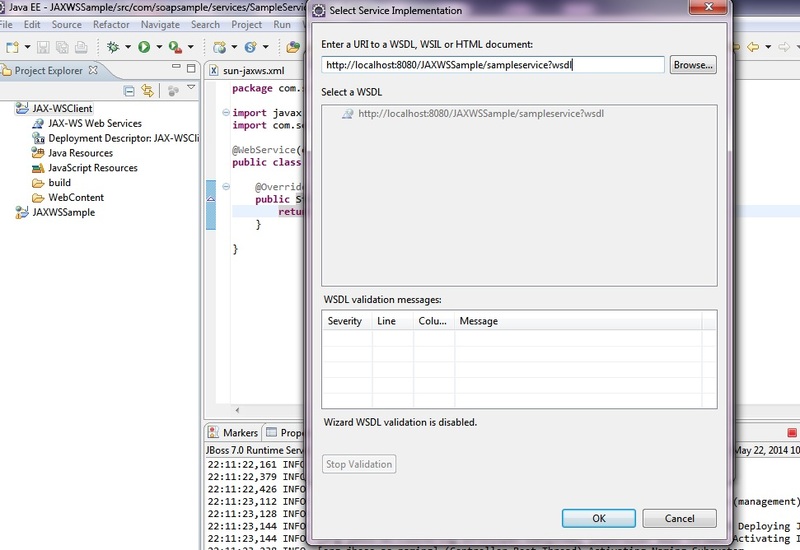 So we got the output of JAX-WS based web service using SoapUI. 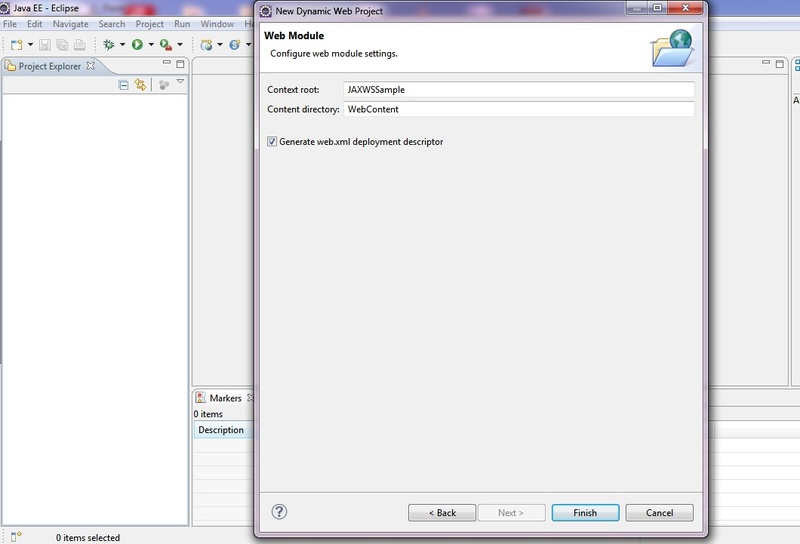 Now let us create a client for the above deployed web service. 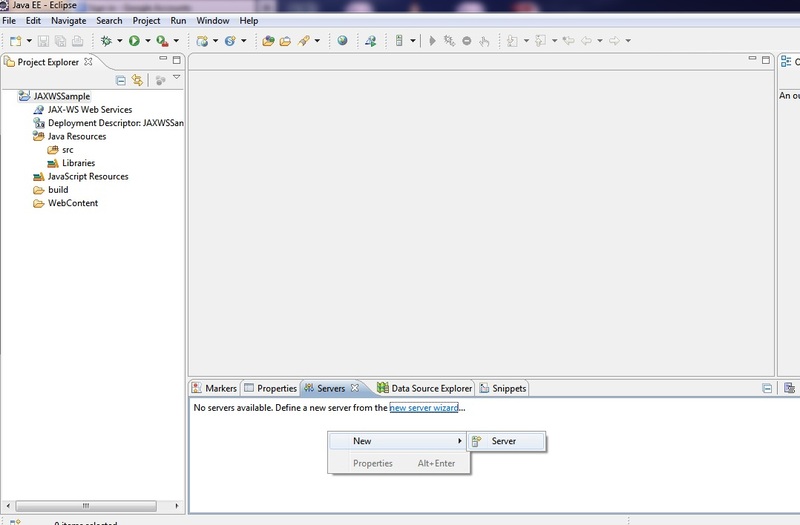 28)Now press Finish.Java files would be created in the JAX-WSClient project. 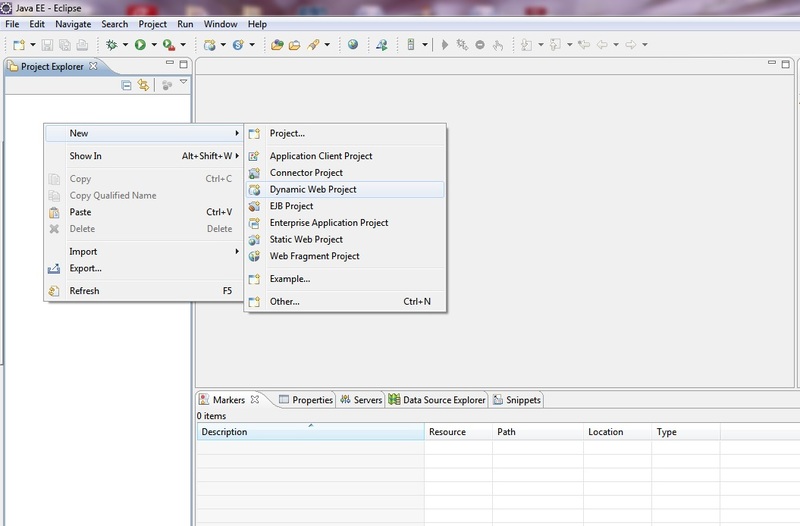 29)Now create a main class in a suitable package of newly created client project. 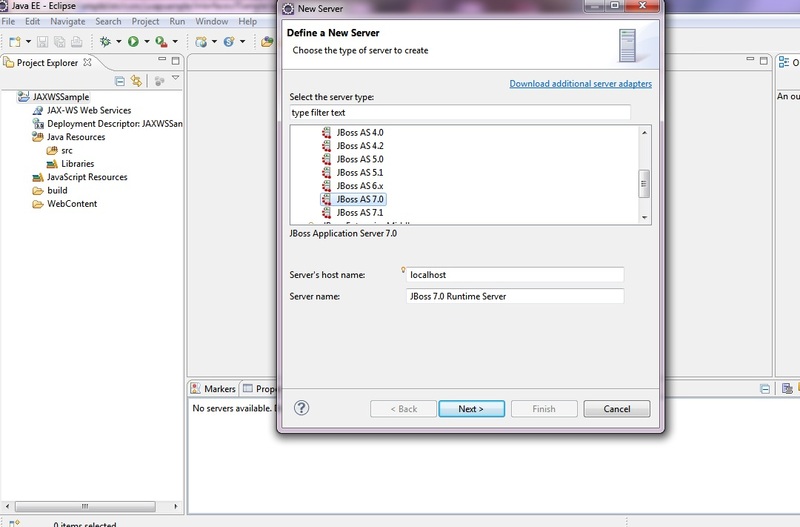 The SampleServiceServiceLocator belongs to the classes generated in the above step. 30) Now run the main.The string output would be displayed in the console.